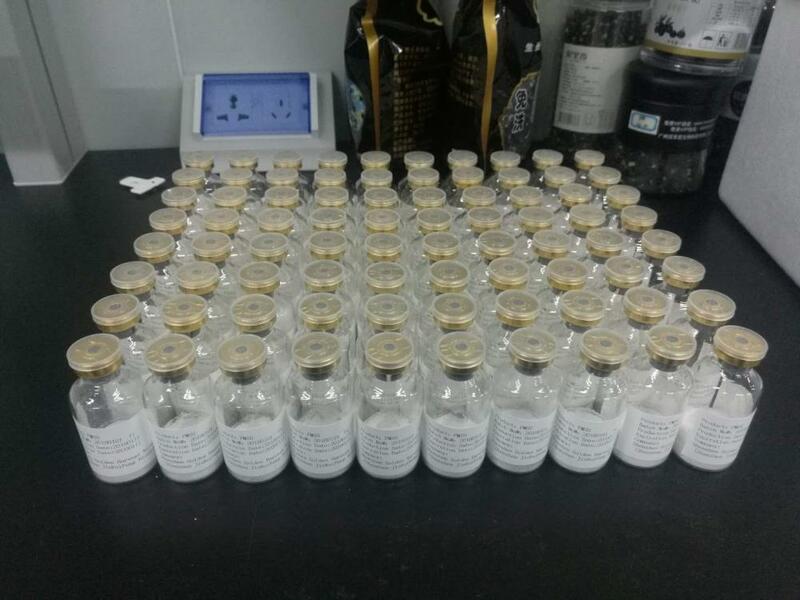 Product categories of Pregnant Mare Serum Gonadotropin, we are specialized manufacturers from China, Pregnant Mare Serum Gonadotropin, Equine Chorionic Gonadotropin suppliers/factory, wholesale high-quality products of Equine Gonadotropin API R & D and manufacturing, we have the perfect after-sales service and technical support. Look forward to your cooperation! Equine Chorionic Gonadotropin (acronym given as eCG but not to be confused with ECG) is a gonadotropic hormone produced in the chorion of pregnant mares. Previously referred to as pregnant mare's serum gonadotropin (PMSG), the hormone is commonly used in concert with progestogen to induce ovulation in livestock prior to artificial insemination. We provide PMSG API both in solution and lyophilized powder. There are different assay, such as 100IU, 1000IU, 2500IU,5000IU, 10000IU, etc.